Viniyoga Therapy for the Low Back, Sacrum and Hips features short, simple therapeutic yoga practices carefully designed to alleviate pain and promote health in the low back, sacrum and hips. 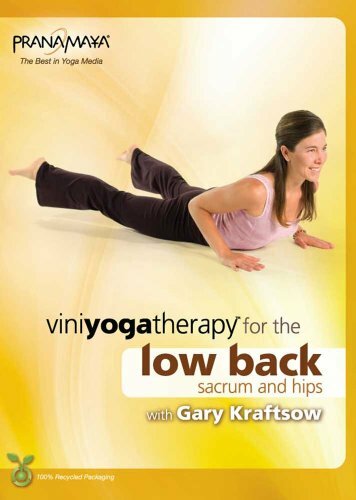 For the first time ever on DVD, benefit from the expert guidance of Gary Kraftsow, one of the world's leading yoga therapists. Founder of the American Viniyoga Institute, Gary is the designer of the only yoga practices demonstrated to be effective for back pain in a National Institutes of Health-sponsored clinical study. If you are one of the 8 out of 10 Americans who have or will experience back pain, make the powerful therapeutic practices on this DVD a part of your everyday regimen for health and well-being! If you have any questions about this product by Bayview Entertainment, contact us by completing and submitting the form below. If you are looking for a specif part number, please include it with your message.